Supporters of the Deferred Action for Childhood Arrivals gathered at the State Capitol Tuesday evening to protest President Trump's decision to phase out the program, known as DACA. Immigration remains the key debate in Washington D.C. as the fate of the Deferred Action for Childhood Arrivals program rests with Congress. 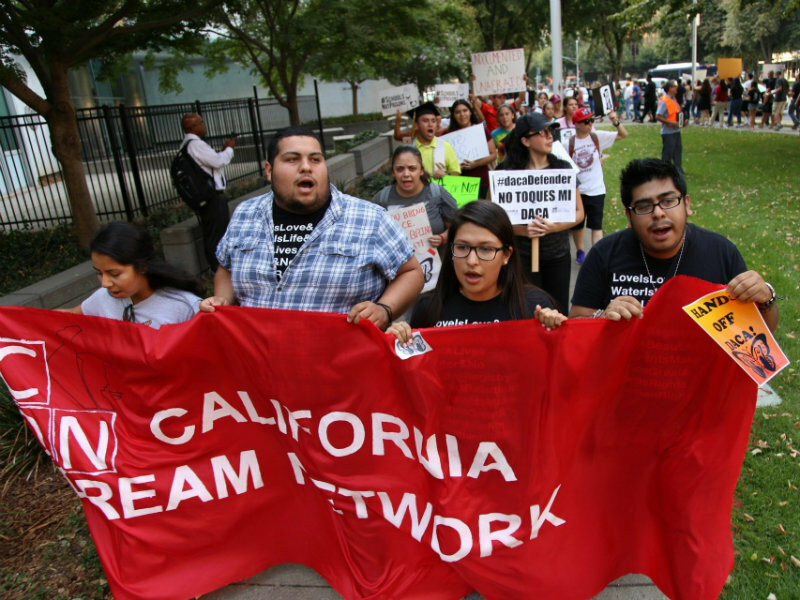 The California Congressional Delegation has a key stake in the debate as the majority of DACA recipients nationwide reside here. Los Angeles Times reporter Sarah Wire has been following the DACA debate emerging between Sen. Dianne Feinstein, state Senate Pro-Tem Kevin De Leon and President Donald Trump.